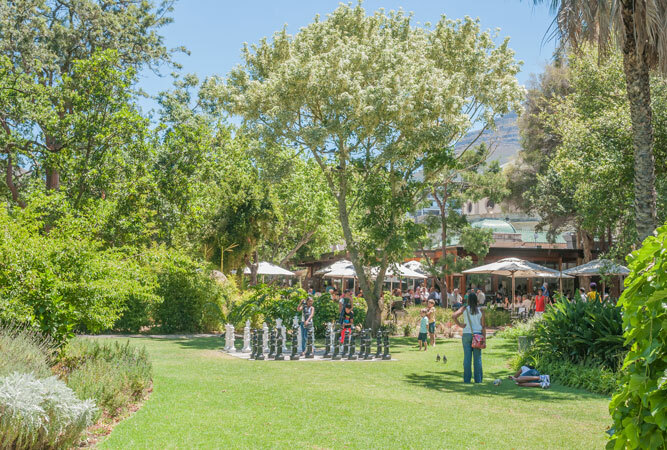 Without doubt Cape Town’s best known, and loved, green space the Company’s Garden has been here since the VOC (Dutch East Indian Company) arrived at the Cape in 1652 intent on supplying fresh produce to their ships on the spice trade route. The vegetable garden has recently been recreated, and there is a fine collection of botanical plants, shady trees and a list of historical features that include the oldest pear tree in the country and a memorial slave-bell. The gardens border on the Houses of Parliament, St George’s Cathedral, the National Library, and the South African National Gallery, amongst other buildings of historical relevance. 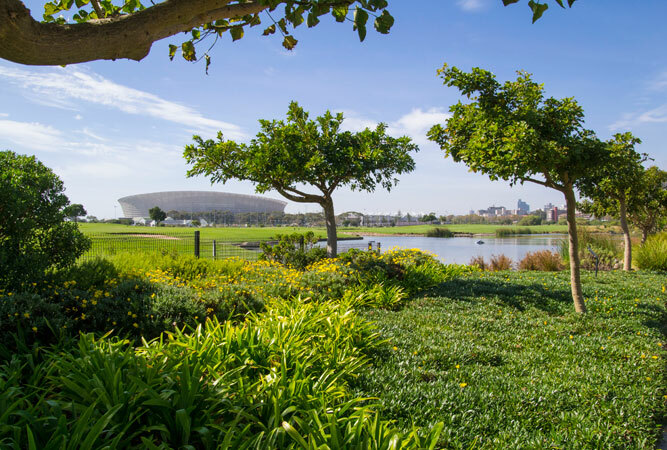 At the same time as the Cape Town Stadium went up, in 2010, the City of Cape Town developed the 12.5 hectares that used to be the Green Point Common. With the stadium as its backdrop the park features a Biodiversity Garden showcasing indigenous plants. 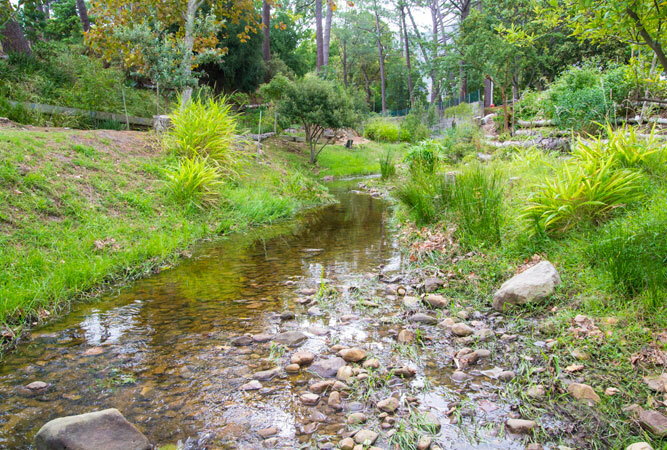 The garden is beautifully laid out around streams that flow off Table Mountain. Three areas – People & Plants, Wetlands, and Discovering biodiversity – are imaginatively linked by walkways, information boards, beaded animals, insects and birds and an original Khoe-san kraal. There are spaces to picnic, kids’ play areas, and incredible views of Lion’s Head and Signal Hill. It’s incredible to think that this huge park and forest, abutting Table Mountain, lies in the heart of Cape Town’s city bowl. You’ll find it on the hills of Vredehoek at the end of Deerpark Drive West (through the booms). The park is popular with dog walkers, hikers, mountain bikers (there are a myriad MTB paths) and trail runners. There are easy trails and there are more wild, overgrown paths that take you straight onto the mountain (use the Trail Guide South Africa App). But the best part is the scenery – the Park is perched above the city with panoramic views, whilst one’s backdrop is Table Mountain. A mere 10 minutes’ walk from here is a restaurant and a children’s play park. There’s something for everyone, in other words. Not strictly a park or a ‘green space’, Oranjezicht City Farm nonetheless deserves its position on our list. Created by local residents and volunteers this non-profit vegetable growing venture, celebrating local food, culture and community, lies adjacent to Homestead Park on land that way back used to be the farm Oranje Zigt, halfway up the mountain in the suburb of Oranjezicht. Visits are free, although you can arrange a guided tour. The produce grown on the farm is sold weekly at a market in Granger Bay. 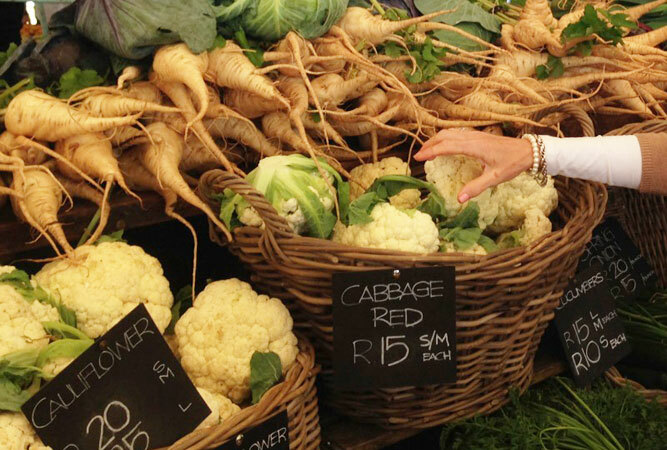 The market puts back R30 million into the local economy (operating only once a week), supports 15 small farmers in the region, and has created 200 jobs. The farm serves also as an educational project, with regular school visits. Oude Molen is the last remaining farmland in central Cape Town. It lies perched above the M5 on the edge of Pinelands. At its heart is an eco-village and stables based in once-abandoned sections of the Valkenberg psychiatric hospital buildings. Established almost 20 years ago, the diverse community now includes over 40 small enterprises. These range from a backpackers, to music studios, metal, wood and craft workshops, a public pool, at least six organic vegetable gardens that sustain a CSA, and a Waldorf school. The village also employs over 200 people. Swim in the pool, ride horses on the property, eat at the restaurant, or buy local vegetables from Back Area Gardens. 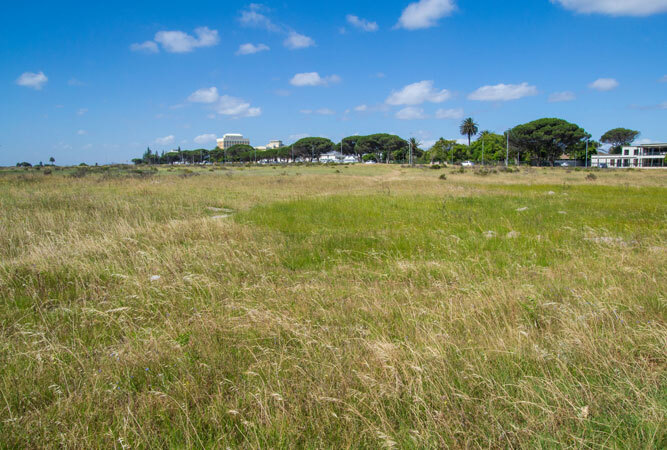 This wide open 40 hectare common is sandwiched between Park Road, Milner Road, Klipfontein Road and Campground, on the northern edge of Rondebosch. Look a little closer and one discovers it protects one of the only remaining pockets of critically endangered Cape Flats Sand Fynbos. What makes it unusual is that it belongs not to the state or the regional council, but is a donation to the people by Cecil John Rhodes. 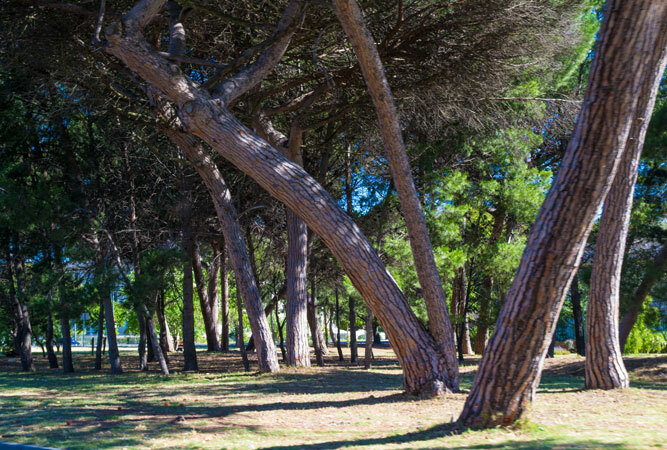 A recent walking and bicycle path around the perimeter has made it very popular with joggers, dog walkers and runners, and the free 5 km Rondebosch Common park run is a weekly highlight. 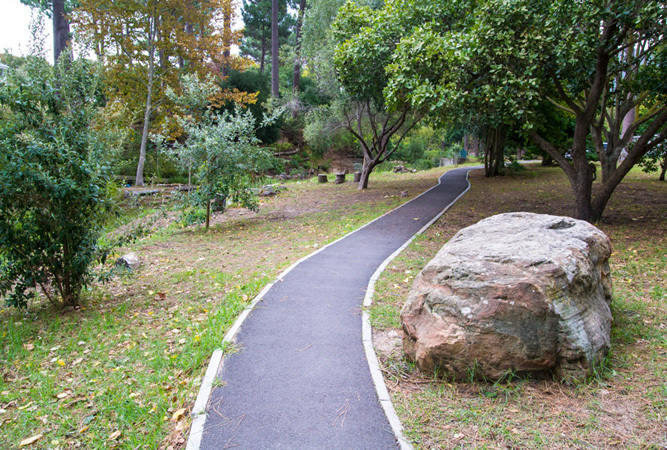 Nine interconecting walking trails wind their way through the Constantia Valley along the Constantia Greenbelt, nicknamed ‘Constantia’s suburban jungle’. 8 km of these have recently been approved as cycling trails (although the rule of thumb is that cyclists yield to all other user groups), and most are extremely popular with dog walkers. The beauty of the area is unsurpassable. 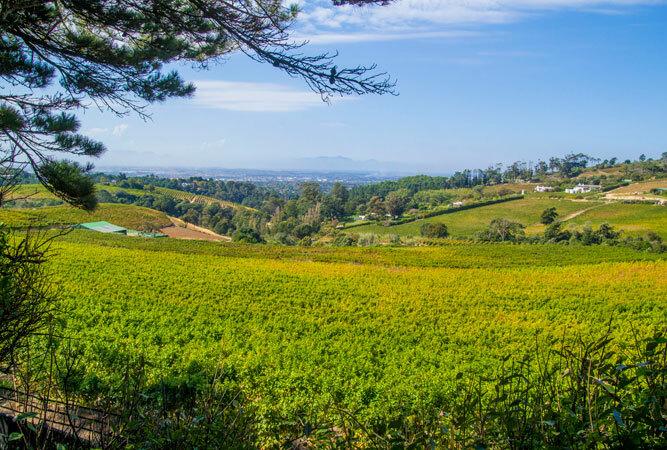 Trails include: Alphen, De Hel, Brommersvlei, Diep River Walk, Doordrift, Grootboschkloof, Klaasenbosch, Silverhurst and Spaanschemat River trail. This combination public park and arboretum, in Claremont, houses one of the finest collection of exotic trees in the country. Well known as a wedding photograph venue, the park is delightfully laid out with shady areas, romantic bench-laden nooks, Japanese-style ponds and picnic areas. The highlight of the park is the huge Moreton Bay fig (also known as the wedding tree) and the vertiginous Aleppo pine tree. The park is a South African Provincial Heritage Site. Entry is free, but there is a donation box at the front gate and the funds are used by the Friends of the Arderne Gardens to maintain and improve the gardens. 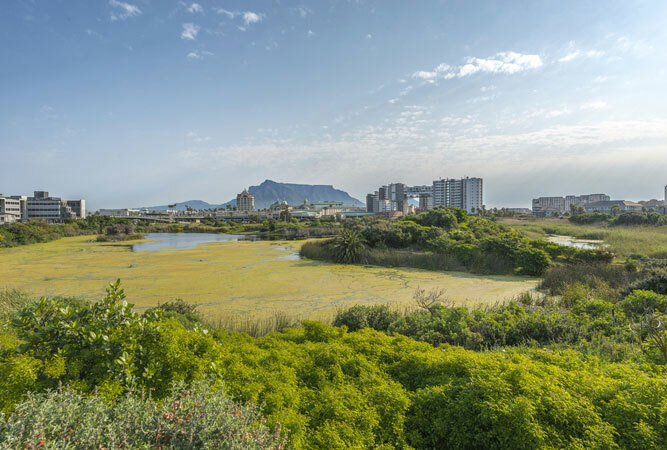 This award-winning 16 hectare wetland and bird sanctuary lies right in the middle of one of the most commercial areas of Cape Town – Century City. As a result, it not only provides birds and animals with a place of refuge, but for the people who live and work here, it is an escape too. Originally covered with Port Jackson and other alien vegetation, the wetlands now harbour 120 species of birds and well over 200 indigenous plant species. Bird hides, a canal system around the outer edge, and self-guided footpaths make visits a pleasure. Reach the island via ferry along the Grand Canal.